I received a reply to my previous post on this subject. I will quote from that reply, offered by Reginaldus, which is also found on his blog: in the comments to his post. I’ve edited his post to focus on his theological argument, ignoring his personal remarks. 1) I do not say it is only for the forgiveness of sin … rather, it is principally for the healing of the wound left by sin even after it has been forgiven (esp. through Confession). 2) The Church is extremely clear — Anointing is for spiritual healing, even the physical healing would only be given in order to effect a spiritual healing (cf. CCC 1532, cited in the article above). The spiritual healing is only needed for those who are spiritually ill … i.e. those who have committed some actual sin which, even after being forgiven, still has weakened the soul. Again, “When the Apostle [James] says that sins are forgiven, he ascribes to Extreme Unction the nature and efficacy of a Sacrament.” (from part II, on Extreme Unction) — here we see that Anointing is connected specifically with the healing of the wounds of sin. The Council of Trent did not teach that Extreme Unction (Sacrament of Anointing of the Sick) is solely, or even mainly, a completion of the Sacrament of Penance (Confession). The Council regarded Extreme Unction as “the completion, not only of penance, but also of the whole Christian life, which ought to be a perpetual penance.” If the Sacrament were solely a completion of Penance [Confession], then actual sin would be necessary to receive it, just as actual sin is necessary to receive Confession. But the Council teaches that the Sacrament is not solely a completion of the Sacrament of Confession, but of the whole Christian life. Therefore, actual sin is not necessary to the validity of the Sacrament. The Council also taught that Christ instituted this Sacrament because He “would have his servants at all times provided with salutary remedies against all the weapons of all their enemies… ” This will of Christ, due to His great mercy, certainly applies to all baptized Christians, even the young and the mentally disabled (who lack full use of reason). The Council further stated that the Sacrament was particularly suitable when “the end of our life [is] at hand”. So one purpose of the Sacrament of Anointing of the Sick is to complete Confession and help heal wounds remaining from sin, especially in the face of the sufferings of illness, injury, or the ravages of old age. But another purpose is to provide us with benefits beyond any that pertain to sin, and this applies “at all times” but especially when “the end of our life” is at hand. So the Council did not limit the Sacrament solely to the sick, nor solely to those in need of healing from sin. The Catechism of the Catholic Church similarly teaches that the Sacrament is for two categories of persons, the sick and the dying: “If the sacrament of anointing of the sick is given to all who suffer from serious illness and infirmity, even more rightly is it given to those at the point of departing this life; so it is also called sacramentum exeuntium (the sacrament of those departing).” (CCC 1523). On the claim that only persons who have committed actual sins may receive this Sacrament, the Epistle of James says this: “And a prayer of faith will save the infirm, and the Lord will alleviate him. And if he has sins, these will be forgiven him.” (James 5:15). This verse is also cited by Trent. Notice that the verse does not present sins as essential for the reception of this Sacrament. James says “if he has sins”, then these sins will be forgiven. If he does not have sins, he is not thereby prohibited from receiving the Sacrament. For the Sacrament, according to this Epistle and the Council of Trent, is not solely a remedy for sin and its wounds, but is also a blessing from the Lord to alleviate, and even at times heal, the sick. The Catechism of the Catholic Church does not teach that only those with actual sins may validly receive this Sacrament, nor does the CCC teach that the sole purpose of the Sacrament is to remedy sin and its wounds. Reginaldus’ narrowing of the Sacrament of Anointing of the Sick solely to those who have physical illness AND spiritual illness AND wounds caused by actual sin does not agree with the full purpose of the Sacrament, as described by Trent and the CCC. Reginaldus has not replied to my point that the use of the faculty of reason, and the ability to understand right from wrong (and therefore possibly sin), arises gradually in little children. It is not the case that a child or a mentally-disabled person has either full use of reason or no use of reason. Reginaldus’ theological argument is predicated on that false assumption. So a child prior to the age of reason (about 7 years) may well have sufficient faculty of reason to have committed at least some venial sins. Therefore, the purpose of helping to heal the wounds of sin also applies, to some extent, to children prior to the age of reason. Although Reginaldus presents his position on this topic as if it were entirely and merely the teaching of the Church, he can cite no magisterial sources at all that make the use of the faculty of reason an event of sudden onset. This error is in large part the basis for his narrow interpretation of the Sacrament of Anointing of the Sick. Reginaldus errs by holding that the use of reason and the corresponding responsibility for our choices, including culpability for sin, is given to the child all at once. He assumes that the child has zero use of reason, zero responsibility, and zero culpability, being unable to commit even a slight venial sin — until a certain moment when reason is suddenly given to the child, after which time the child supposedly has full use of reason, full responsibility, and can sin mortally. This assumption is absurd and contrary to manifest fact. Notice that expiating sins, if any, and the remains of sin, is not the sole, nor the main, purpose of the Sacrament. Nor does the Council present this purpose as absolutely essential to validity, such that a person without actual sin could not benefit at all from the Sacrament (as Reginaldus claims). The purposes of the Sacrament of Anointing of the Sick includes strengthening the soul of the sick person. For serious injury, illness, and pain are a weight upon even a sinless soul — as proven by the Passion of Christ and Mary’s suffering at the foot of the Cross. The purposes of the Sacrament include increasing grace in the soul, so that the illness is less burdensome. And the purposes of the Sacrament also include healing the body “when expedient for the welfare of the soul.” But the assumption of Reginaldus that a little child (or an adult with serious mental disability) cannot benefit in their soul if they were healed from grave illness is foolish. For the Church infallibly teaches that the soul is the form of the body. Essentially, this means that the soul and body are thoroughly united as one person. Thus, an infant or young child who is gravely ill, and is healed by the Sacrament in body, certainly does benefit in his soul. For body and soul are one person. And he also benefits spiritually, if his life is saved, by being able to grow up in the Faith of Jesus Christ. As to whether a person must be sick in body to receive this Sacrament, the Council has this to say: “It is also declared, that this unction is to be applied to the sick, but to those especially who lie in such danger as to seem to be about to depart this life: whence also it is called the sacrament of the departing.” So there are two categories of persons who may validly receive this Sacrament, those who are sick, and those who are about to depart from this life (the dying). And this explains how the Blessed Virgin Mary could receive the Sacrament of Extreme Unction, from the hands of the Apostle Peter, the first Pope, even though she never suffered any illness or injury, nor the ravages of old age, and even though she was sinless. She received the Sacrament because she was near death. As Blessed Anne Catherine Emmerich tells us, based on her visions from God, the Apostle Peter gave this Sacrament to the Blessed Virgin Mary, even though Mary was not spiritually ill, had no sins at all, and was not physically ill (Emmerich, Life of the Blessed Virgin Mary, p. 370.). Therefore, the claim made by Reginaldus — that physical illness, spiritual illness, and actual sin, are all necessary for valid reception of this Sacrament — is a false teaching about this Sacrament. But we do not need to rely on the private revelation of Blessed Anne Catherine Emmerich alone. For the Council of Trent taught that the Sacrament of Anointing of the Sick has other purposes, in addition to forgiving sin, healing the wounds caused by sin, and in addition to healing the body. And the Council taught that the Sacrament can be applied both to persons are ill, and to persons who are near death, not solely to those who are ill. The Council of Trent did not limit this Sacrament solely to those who are sick in body, nor solely to those who are sick in soul (due to actual sin and its effects). Neither does the CCC state such a limitation. On the claim that the Church is unable to give this Sacrament to persons who have not had the use of reason, the Council of Trent states that the passage from James reveals to us “the matter, the form, the proper minister, and the effect of this salutary sacrament.” But that passage in James in no way restricts the Sacrament from children, and in no way indicates that attainment to use of reason is required. In fact, the Church does give this Sacrament to persons who have lost the use of reason, and the Sacrament remains valid even if he or she never regains that use. The use of reason by the recipient, in order to participate in the Sacrament, is not required for validity. The passage from James does not require the recipient to be past the age of reason, nor to have committed actual sins. But is it possible that these conditions are nevertheless essential and indispensable to the Sacrament, such that even the Church cannot omit them? Could these criteria be established elsewhere as essential to the Sacrament? Not according to the Council of Trent, which taught the following: “Neither assuredly does the Roman Church, the Mother and Mistress of all other churches, observe aught [anything] in administering this unction, — as regards those things which constitute the substance of this sacrament, — but what blessed James has prescribed.” So all that the Church holds to be essential and unchangeable in the Sacrament is found in what Saint James taught. The Council rejected the idea that there are other conditions for the validity of this Sacrament, that is to say, essential and unchangeable conditions of the very substance of the Sacrament, other than those stated by James. The Church, of course, has the authority to add conditions for the valid or licit reception of a Sacrament. But these conditions can also be changed or dispensed by the Church. They are not beyond the ability of the Church to change. Since James does not require a certain age, nor attainment to the use of reason, as an essential and unchangeable part of the Sacrament, then neither does the Church. And this is according to the clear and definitive teaching of the Council of Trent. Furthermore, if such a requirement were essential to the validity of the Sacrament, then why is it omitted from the Catechism of the Catholic Church? The CCC does not refer to age or to the attainment to the use of reason at all when discussing this Sacrament. Neither does the CCC or Trent state that a person must have committed some actual sins, or that a person must be sick in soul as well as in body. Reginaldus’ position requires us to believe that there are conditions which are absolutely necessary for this Sacrament to be valid, and yet which are not discussed or mentioned at all in the Catechism’s teaching on the Sacrament, nor in the Council of Trent’s teaching on the same subject. Therefore, the attainment to the use of reason is not an essential and unchangeable part of the Sacrament. It is not essential that the person have committed past actual sins, nor that the person actually be physically (or spiritually) ill. The Sacrament can be given to a person, who has never committed actual sin, and who is not sick in body or in soul. For the Sacrament has benefits in addition to healing the body and soul, in addition to remedying sin and its effects. And the Sacrament is not only for the Sick, but also for those near death. And therefore also, there is no substantial theological reason to withhold this salutary Sacrament from anyone who is ill or near death, from a person who has only limited use of reason (a young child, or a mentally disabled person), from a person who has no use of reason (an infant, an unconscious person), from a person who has committed no actual sins. Now let’s consider this quote from the Catechism of Trent (i.e. 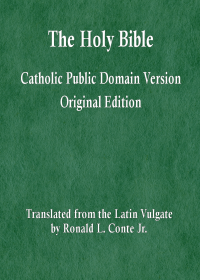 The Roman Catechism), offered by Reginaldus to support his position: “Furthermore, all those who have not the use of reason are not fit subjects for this Sacrament; and likewise children who, having committed no sins, do not need the Sacrament as a remedy against the remains of sin.” This Catechism was written and issued after the close of the Council of Trent; it is not a document of any Ecumenical Council. Its teachings are not infallible. And on this particular point, the assertions of this Catechism are not based on anything stated by the Council of Trent. The above quote makes two assertions. The second assertion is that the youngest children, having no sins, do not need the Sacrament as a remedy against sin. This is obviously true for baptized infants, who have no sins and cannot commit actual sin. Part of the purpose of the Sacrament is as a remedy against sin, so of course a baptized infant would have no sins to remedy. But this is not the whole purpose of the Sacrament. And so this assertion by the Roman Catechism does not establish that infants are unable to validly receive the Sacrament. For the Council of Trent taught that the Sacrament has other salutary effects, aside from being a remedy against sin. The first assertion in the above quote is that “all those who have not the use of reason” are not fit to receive this Sacrament. That assertion is not an infallible doctrine of the Council of Trent; no such assertion is made by the Council. Nor is there any magisterial source that can be said to be infallible on that point. In fact, the decision to give the Sacrament only to those who have attained the use of reason (even if later it lapses) is a point of discipline, not an infallible or even a non-infallible teaching. Not every assertion in the Catechism of Trent, nor in the current Catechism of the Catholic Church, is an unchangeable truth. The requirement of attainment to the use of reason, stated in the Roman Catechism and in current Canon law, must be mere discipline, and not an indispensable condition for a valid Sacrament. 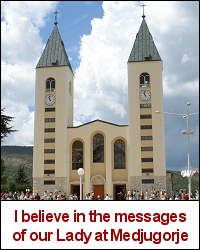 To say otherwise, is to imply that the teaching of the Council of Trent is false. For the Council taught that everything essential to the substance of this Sacrament is stated by James in Sacred Scripture. Any additional criteria, therefore, must be changeable discipline, not unchangeable dogma. Furthermore, the Catechism of the Catholic Church makes no mention of such a requirement. It is difficult to believe that the Catechism, in presenting the teaching of the Church on any Sacrament, would omit anything absolutely required, as an essential and unchangeable part of the Sacrament. So attainment to the age of reason is not an essential part of the Sacrament. The Roman Catechism was stating current discipline, not infallible doctrine, and not an essential condition for validity. Similarly, the Council of Florence was stating discipline, not doctrine, when it asserted: “The fifth sacrament is extreme unction. Its matter is olive oil blessed by a priest. This sacrament should not be given to the sick unless death is expected.” (Council of Florence, Session 8, 22 November 1439, Pope Eugenius presiding). The requirement that the oil be olive oil is not essential to the Sacrament (for such requirement is not mentioned by James). Therefore, the Church currently permits other types of oil to be used, as the CCC states: “pressed from olives or from other plants” (CCC 1513). Notice also that Florence stated that the Sacrament should only be given to the sick if they are also near death. Again, this is not a requirement for validity, nor a doctrine, but a changeable discipline. The Church has the authority to change that decision, so that the Sacrament would be given to the sick who were not near death, and the Church did exercise that authority. So not every assertion about a Sacrament is an unchangeable doctrine. The above citation from the Roman Catechism is changeable discipline, not unchangeable doctrine. Therefore, the Church has the authority to give the Sacrament of Anointing of the Sick to infants, to little children, and to the severely mentally disabled, eve if they lack, or have a substantially limited, use of the faculty of reason. The current Code of Canon law expresses the current norm, but not what is essential and unchangeable in the Sacrament. For James did not specify a requirement of age, nor of the use of reason, and the Council of Trent says that nothing essential to the Sacrament is absent from that passage in James. The Church also has the authority to give the Sacrament of Anointing of the Sick (Extreme Unction), to those who are dying or near death, even if the person has no particular grave illness or injury. For the Council stated that two categories of persons may receive the Sacrament, the sick and the dying. And the CCC says the same. Neither the Council nor the CCC taught that only the sick may receive it. The teaching of Reginaldus that the only persons who may receive this Sacrament validly are those who are physically sick AND spiritually sick AND have committed some actual sins AND have reached the age of reason is NOT the teaching of the Church. His claim that the Church lacks the authority to give this Sacrament to other persons is a grave doctrinal error and a false teaching. The last part of the Canon refutes the position of some Protestants. What is relevant to our discussion in this article is that the Sacrament does not only remit sin, it also confers grace; and it does not only heal the soul, or the body and the soul, but it also comforts, even when it does not heal. Therefore, it is not true, as Reginaldus claims, that a baptized infant would not benefit from this Sacrament, because he has no sin and no wounds from his sins. The Council infallibly taught that there are more purposes to the Sacrament than these. A baptized infant, a little child, or a severely mentally disabled person, despite lacking full use of reason, would still benefit from the grace conferred by the Sacrament, and from the comforting of his soul, and possibly also from the healing of the body. The Council of Trent did NOT teach anywhere in its documents that little children, or persons who have not yet attained to the use of reason, may not receive the Sacrament of Anointing of the Sick. Nor did the Council teach that age, or attainment to the use of reason, is essential to the validity of the Sacrament. But the Council did not merely remain silent on the topic of age and use of reason. For the Council explicitly taught that nothing essential to the substance of this Sacrament is found outside of the relevant passage from the Epistle of James. And James does not require a certain age, nor attainment to the use of reason. Therefore, the arrogant and presumptuous claim made by Reginaldus, that the Church Herself is unable to validly give this Sacrament to little children, and that to do so would be a grave sin, is refuted by the teachings of the Council of Trent. The teachings of Reginaldus on the Sacrament of Anointing of the Sick are not merely the teachings of the Church, as he claims, but rather a substantial distortion of, and departure from, what the Council of Trent and the Church do in fact teach. See this webpage for a summary of Reginaldus’ theological errors, and his real identity as a Catholic priest. It is immoral for this priest to teach numerous doctrinal errors while hiding behind the anonymity of the pseudonym, Reginaldus.